The illegal trade of wildlife is a plague for the entire globe, driving several species of flora and fauna to extinction. The poaching of countless species has become a key concern for many governments, including that of Belize. 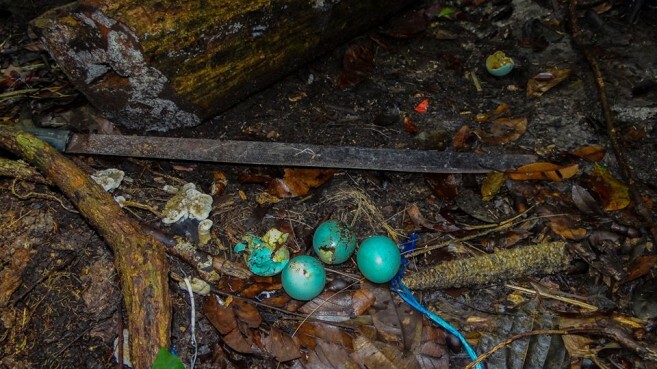 In Belize alone, the killing and harvesting of certain species of trees and animals for the financial gain of a few is destroying our forest and marine ecosystems. From parrots, turtles, jaguars and even Rosewood, Belize faces serious illegal wildlife trade. 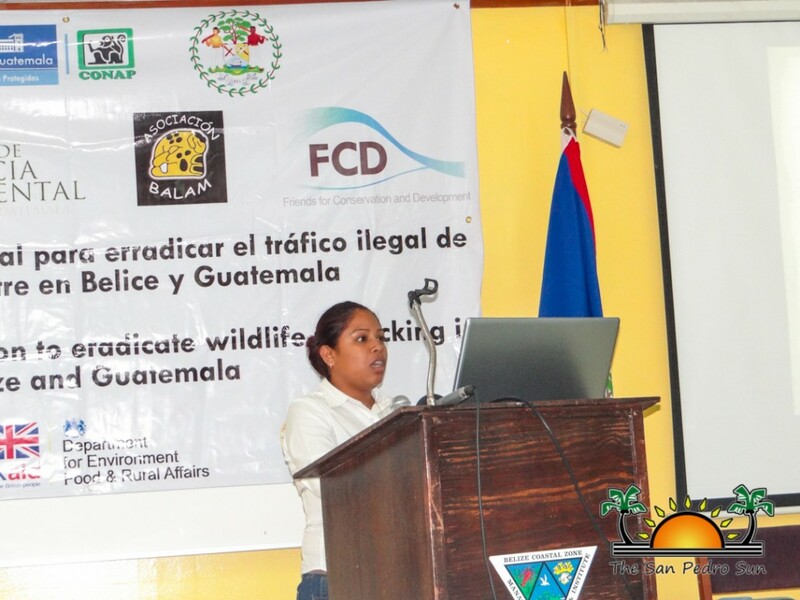 As such, several partners in conservation hosted an illegal wildlife trade seminar on Monday, June 1st in Belize City. 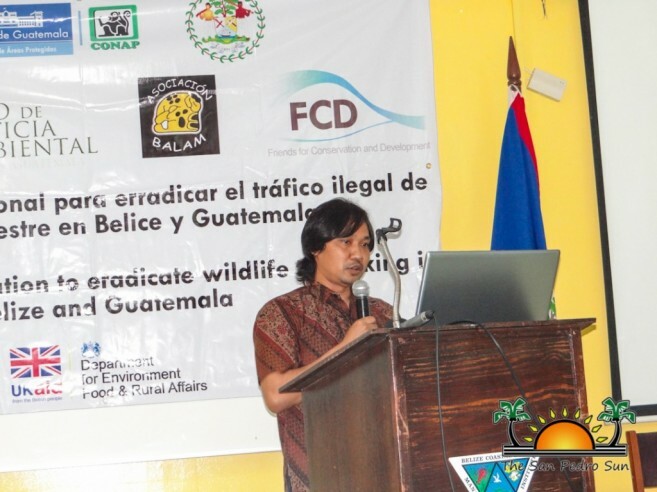 Part of the bi-national collaboration to eradicate wildlife trafficking in both Belize and Guatemala, the seminar discussed initiatives to counter this problem. 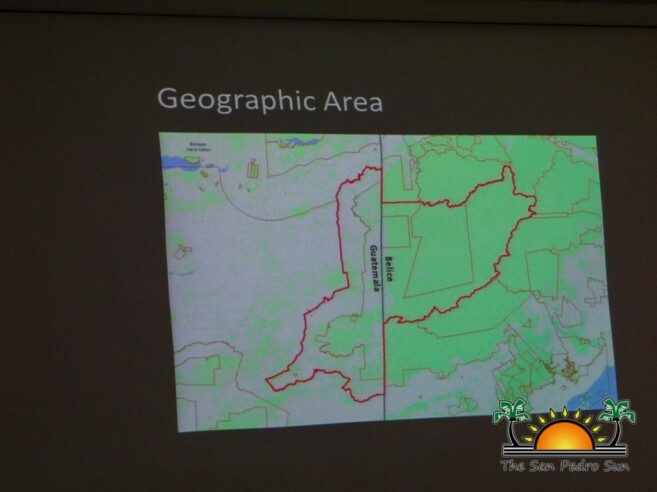 Local environmentalists, nonprofit organizations, government officials and the media converged at the Coastal Zone a Management Authority and Institute Training Room for the seminar that started at 2PM. Aimed at providing useful information and insight from wildlife experts, the seminar had examples from around the world, including Africa, Indonesia and Belize. Deputy Chief Forest Officer of the Belize Forest Department (BFD), Marcello Windsor was first to take to the podium. He took the opportunity to thank those in attendance for taking the effort to fight illegal wildlife trade in Belize. “Belize is well on board in the fight against the illegal wildlife trade. We continue to work on our laws and regulations to better address this issue. Belize also reaches out to international agencies to more effectively counter the trade system, especially with our neighboring countries. Together with the secretariat of the different countries and the International Criminal Police Organization, we have the opportunities to develop a mechanism to control the illegal wildlife trade in Belize”, said Windsor. McNab stated that counties in Central America are in a good position to control and ultimately rid illegal wildlife trade in the area. “You have the resources and the attention. Global partners want to stop the industry. The best way to counteract this trade is to start early, and here in Belize and Guatemala, it is still in the early stage. We must educate and stop the demand for the wildlife. Source countries of the illegal wildlife trade must be prepared to defend their forest, or they will suffer a great decline in key resources,” said McNab. Senior Wildlife Trafficking Analyst and WCS Africa representation Dr. Tim Witting and WCS Indonesia representative Dwi Adhiasto took the time to share their experiences with illegal wildlife trade in their respective countries. Witting explained that the wildlife trade in Africa is at a crisis stage that has affected the population of certain species catastrophically. “In the last 12 years, there has been a 65% reduction of wild population of African Forest Elephants, due mainly to poaching for the ivory trade. The poaching network is being run by organized criminal syndicates and also traffic narcotics. It has become a dangerous task to control. Over 1,000 park guards and rangers have been killed in 10 years; poachers will do whatever it takes to kill wildlife and get what they want. 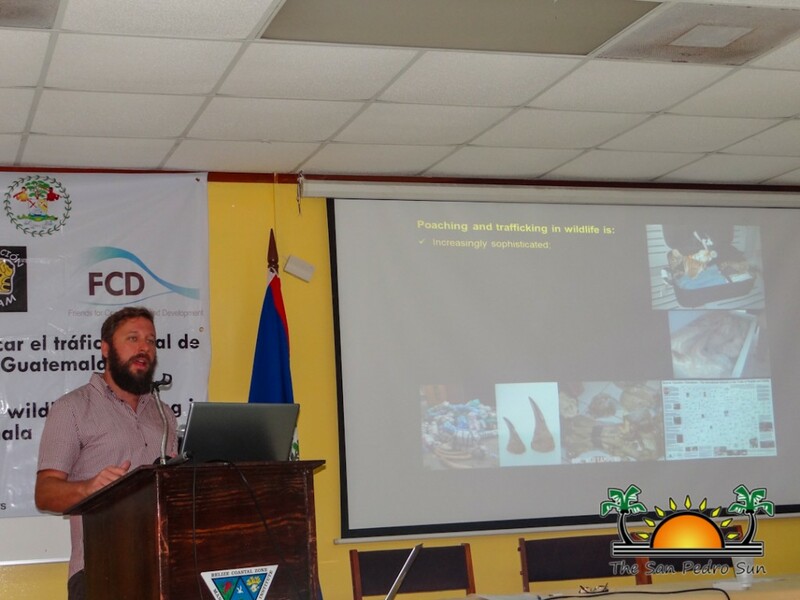 We hope that with the information that we can provide, the illegal wildlife trade never reaches this stage in Belize,” said Witting. The illegal wildlife trade must be treated as a serious crime, and punished with the same force. “In China, poaching has increased in the past 25 years due to the huge market of endangered animal parts. In Indonesia, we have started using advanced technology to stop poaching and convict those caught poaching. We track animals to ensure that they are safe, and use drones to patrol wide-range areas,” said Adhiasto. “We work hand-in-hand with government officials to intercede the trade, especially at international border and trading hubs. Using cellular technology we can track known poachers and get evidence to convict them in the courts.” Both Witting and Adhiasto stated that in order to prevent the trade, the legal system of the country must be prepared. 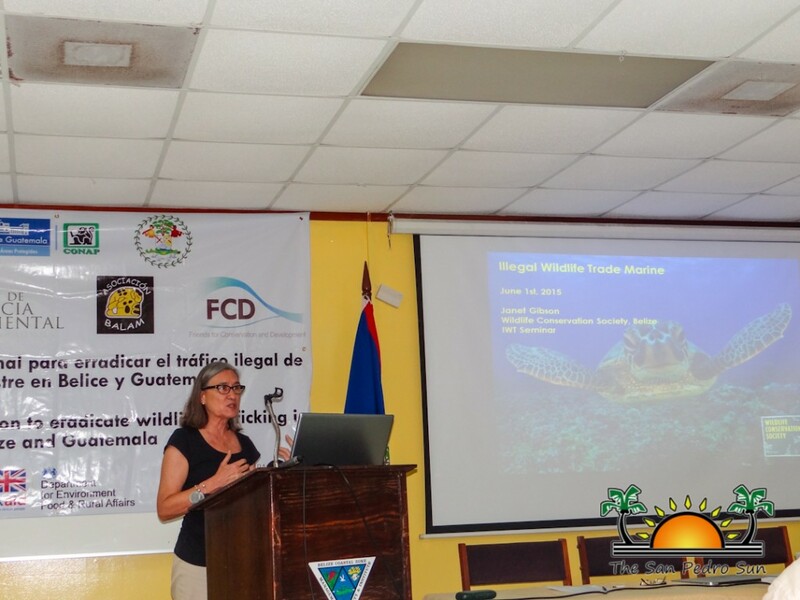 Insight was also given on the current situation in Belize in regards to illegal wildlife trading. “The primary species that are at risk in Belize are parrots and monkeys. The Chiquibul Rainforest is being raped of its resources by our neighboring countries. They go in to extract Scarlet Macaws that are sold throughout North America as exotic pets. There is also the illegal harvesting of Xate leaves, as well as the felling of Rosewood trees and even Mahogany trees. We are even seeing the increase in the monkey trade,” said Forest Officer in charge of the Wildlife Program in BFD, Victoria Chi. She indicated that BFD is doing as much as it can with the limited resources they have to stop the trade, but they face many challenges. “The culture of Belize is also a major problem. People in Belize feel that it is their right to have a parrot or wild animal as a pet. We have been doing programs to track how many parrots are in captivity, but we can never be sure what kind of treatment these birds are receiving. We also cannot track how many birds are smuggled through the border. This trade of exotic bird for pets has reduced the populations to isolated subpopulation of less than a 100 wild individuals in the entire Central American region. Much of the traffic is international, with one of the main passage points being between Belize and Guatemala,” said Chi. She stated that BFD has been working closely along with NGOs such as Wild Tracks, American Crocodile Education Sanctuary and the Belize Bird Rescue to prevent the illegal traffic of wildlife. “The range that needs protection is large, and we don’t have the manpower to control everything. Our partners assist us greatly, but there is still much that needs to be done. People need to be educated on the importance of keeping these animals in the wild. Some people take these wild animals so that they can use them to make money off of tourists. We have issue from tourists simply wanting to take pictures with these wild animals, to them wanting to feed them. All are against the law,” said Chi. She ended by stating that measures are being put in place to better control the illegal wildlife trade, including the implementation of better monitoring systems at all points of entries and border areas and an education campaign for the mass population. 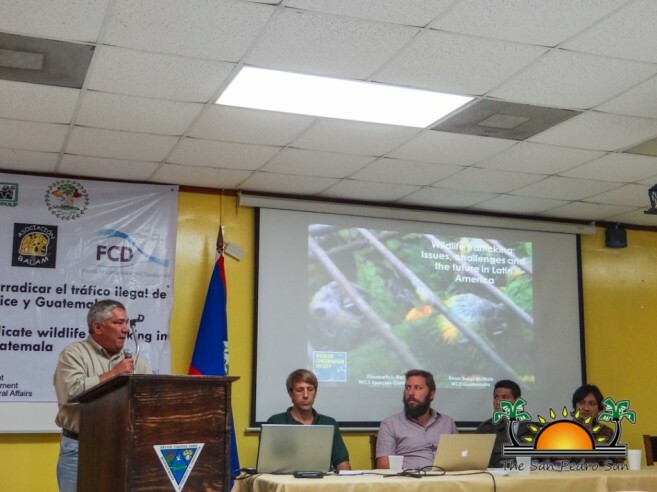 Executive Director of Friends for Conservation and Development (FCD) Rafael Manzanero elaborated on the situation in the Chiquibul Rainforest with Guatemalans pillaging the area for natural resources. The extraction of Scarlet Macaws from the Chiquibul Rainforest is threatening the species population. Breeding areas are being destroyed, chicks are being stolen and older birds are killed. “The number of parrots in this area is falling, and if we continue with this trend, Scarlet Macaws may become extinct in Belize. Before, Guatemalans used to extract wildlife as a side activity just to make extra money. But now we are seeing that it has become a trade. The have become more professionalized and are able to bring the necessary materials needed to take the wildlife. They know the areas and have become so determined to take what they want,” said Manzanero. In order to counteract this illegal trade, the governments of Guatemala and Belize have launched a bi-national collaboration to eradicate wildlife trafficking. This project aims to protect Scarlet Macaw nests, prosecute the illegal wildlife trade, foster greater public awareness on the issue and create economic alternatives for rural communities in Guatemala. 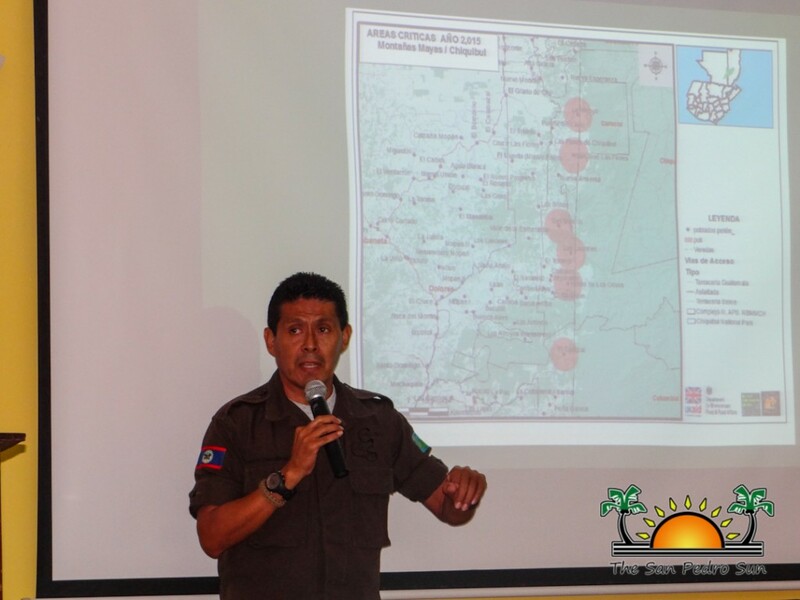 “We don’t really know the magnitude of illegal trafficking in Belize. We need to propel a re-education in poaching and trafficking of the highly endangered Scarlet Macaw population in Belize, and establish a long-term collaboration between us and Guatemala to protect endangered species and improve rural livelihoods,” said Manzanero. He stated that while a main concern is Scarlet Macaws, they’re not the only threatened species. 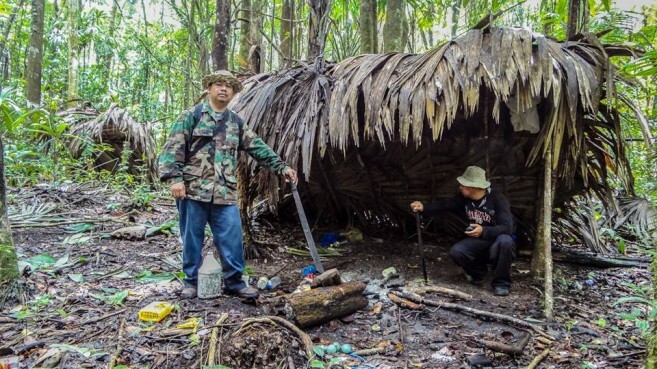 Poachers are hunting tapirs, jaguars and several species of trees. 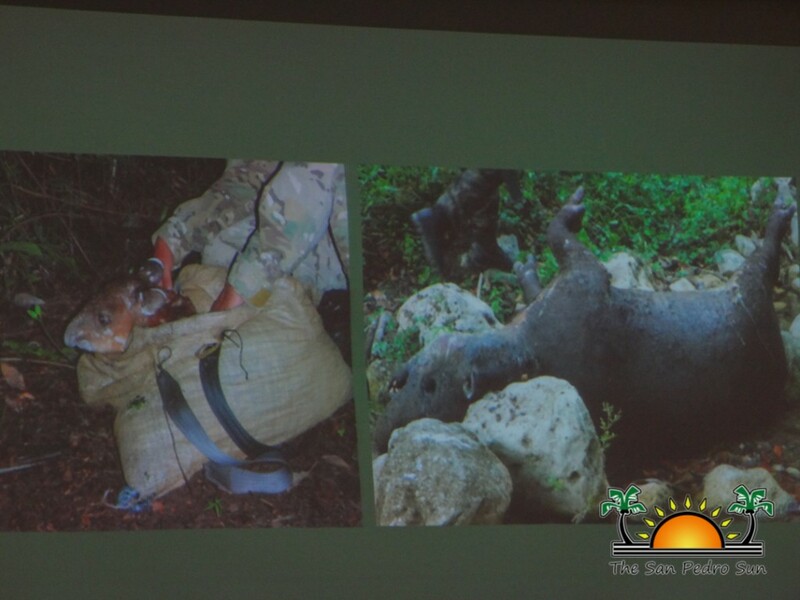 “Wildlife trafficking in Belize is not only animals but also plants. The illegal logging for Rosewood is becoming rampant. Guatemalans are clearing large areas of land to harvest these products. We need to be bolder about dealing with this issue. We cannot allow our animals and plants to be removed. We need to be tactical in our approach, because these poachers and loggers know what they are doing. This is no longer a little issue, but is becoming a major concern. This is not just a Belizean issue, but a global one and we need to all come together to fight it,” said Manzanero. In order to address the issue properly, the poaching needs to be addressed first, followed by addressing the trafficking and ultimately stopping the trade. 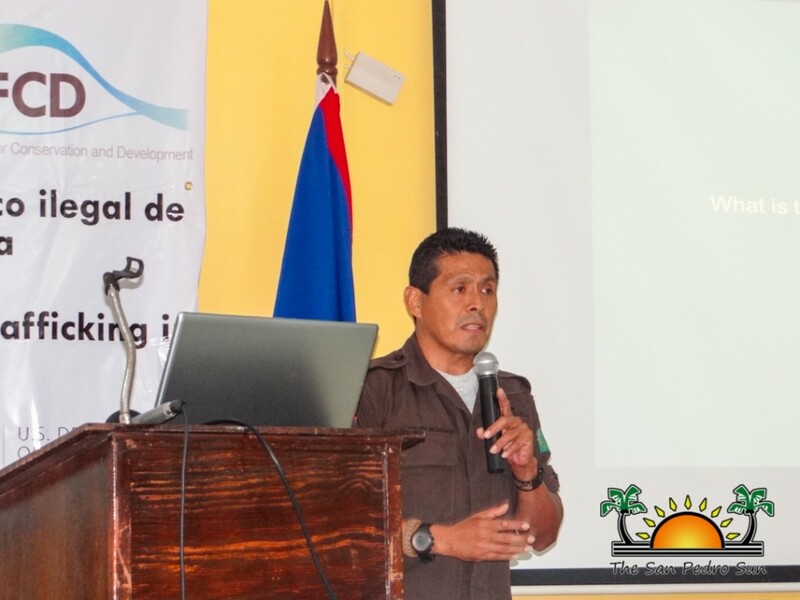 The seminar was a collaboration of the Wildlife Conservation Society, Belize Forest Department, Friends for Conservation and Development, Department for Environmental Food and Rural Affair and the US Department of the Interior. some believe it isnt too late . i may not be one of them.